Every September our school job center opens. Children in Key Stage 2 classes can apply for the different roles available that include School Council, Digital Leaders, Science Leaders and Sports Leaders. They complete an application form and submit it to the Leadership Team. (See below for an example of the application form) Applications are then shortlisted and children are invited for an interview. 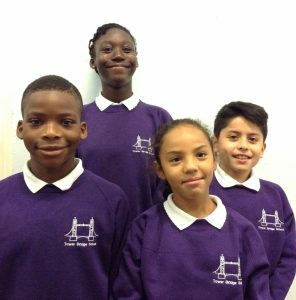 Children applying for School Council are voted in by their class mates.All successful candidates wear different coloured jumpers and meet fortnightly with a member of the Leadership Team. 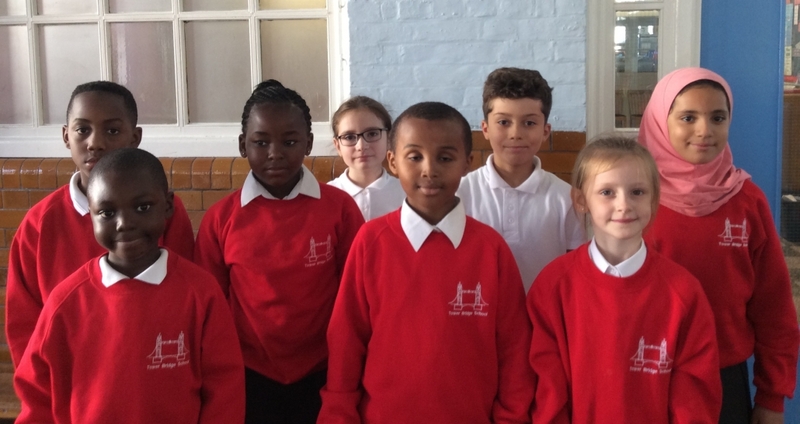 The school council is made up of elected members from each class from Y3 – Y6 and meets once every half term. As the Head Boy of Tower Bridge Primary School my main aim is to make this place as happy as can be. I want the other pupils to feel that they can come and talk to me about anything and know that I will listen to them. I will be a good leader because I love helping others to succeed by motivating them to do their very best. During this year I would also like to make sure that all pupils feel like they can share their ideas to make the school a better place. I want to be a good role model to the rest of the school by being hard working and resilient. I am very proud to be Head Girl at Tower Bridge Primary school. I will make sure that the school continues be a safe and happy place to be. As Head Girl I would like to build confidence in other children by making the most of their talents. I would also like to listen to other children’s opinions about what they want or would like to change. This year I will communicate with the Sports Leaders about getting more PE equipment and how we will do that. I look forward to doing my best in this role. 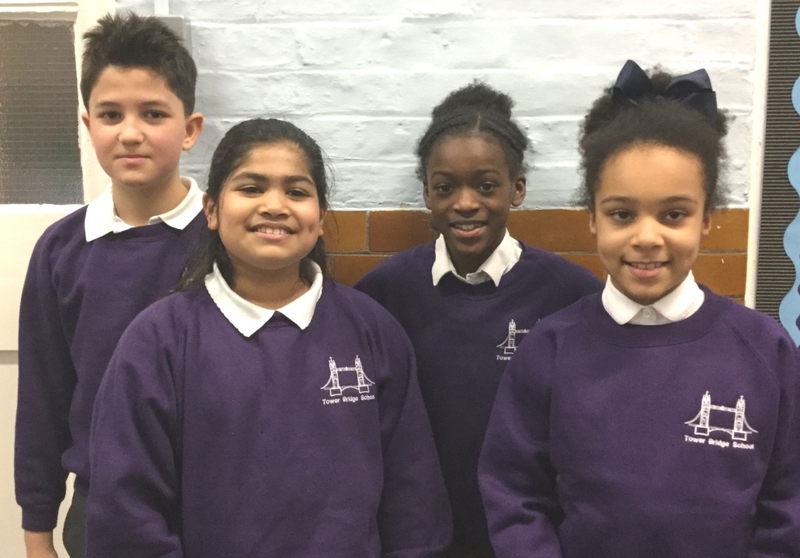 At Tower Bridge we have a group of children who help support the delivery and development of ICT within the School. Since their introduction in 2014, they have worked hard to improve not only their own subject knowledge but that of other pupils within the school. They are always on hand to support in lessons and at times run lunch clubs for children across the Key Stages. During Digital Leader meetings, the children are given the opportunity to try out new technology and software before it is introduced to the school, and are subsequently consulted as to whether it would fit within our curriculum. We believe it is important to take in and understand the views of the children as it is ultimately them who will gain and benefit the most from what we choose to introduce. This year, 4 Sports Leaders have been elected and will perform a great deal of different roles within the school community. They will play an important role in promoting healthy lifestyles in the school through the encouragement of those around them to get involved and take part in as many different sporting activities as possible. Alongside this they will help ensure the school has enough, varied sporting equipment and make sure that, outside in the playground, the children are playing fun, fair and safe games. In addition, they will play an active role in promoting healthy eating within the school. They will lead assemblies on the importance of eating well and will encourage children in the playground and the dining room to make healthy choices, explaining the benefits of these choices to the children and how they will help them, not only in school, but outside school as well. 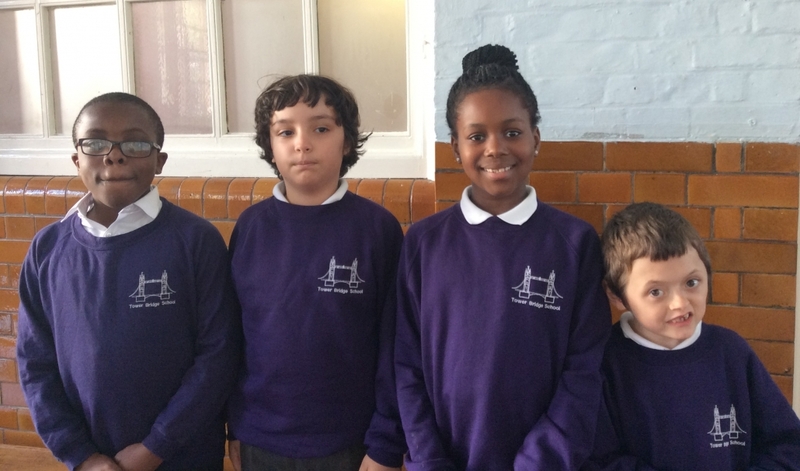 This year, Tower Bridge Primary School held interviews for Science Leaders. Many pupils with a passion for Science applied for the roles and after interviews were held, four pupils were appointed. Alongside promoting Science amongst their peers, they will help shape how Science is taught in our school. They will attend regular meetings with members of staff and liaise with teachers, giving feedback from pupils about Science lessons. They will also help to plan assemblies and deliver them to the rest of the school.